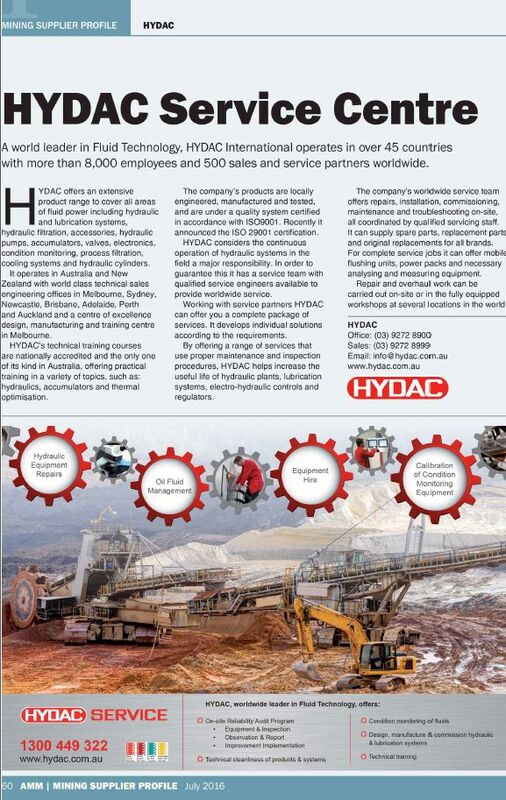 In June 2016, HYDAC published an editorial about its HYDAC Service Program in the Australia Mining Monthly Ed. July. The aim is to highlight HYDAC Service Centre and all the different services that it’s offering to its partners and customers. Click on the editorial below for having the editorial in full screen.